The stairway safety hand-railing will not only add safety but also improve the beauty of your house while at the same time adding value. 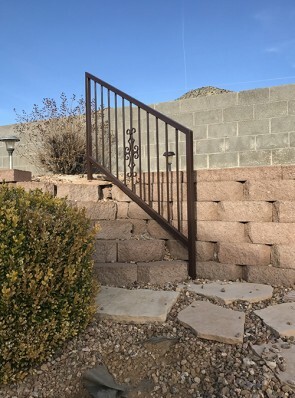 The stairway safety hand-railing offered by Barnett Aldon Ironworks are manufactured using the best quality steel and are made available in many sizes and shapes to meet the unique requirements of your home. The advantage of using the steel stairway safety hand-railing is that they are durable and have an elegant look. They are corrosion proof and designed to last a lifetime with minimal maintenance needs. It does not matter what you need for your stairway safety hand-railing, Barnett Aldon Ironworks can provide.If you need a custom design, color or style, all you have to do is place an order.